Spin Master’s Anna Hewitt chats plans for Hatchimals, Rusty Rivets and, of course, PAW Patrol. Anna Hewitt, who joined Spin Master last year as licensing director for Europe, believes her previous licensing experience working at BBC Worldwide, Coolabi and latterly at Walker Books has been invaluable to her new role. The jewel in Spin Master’s property crown is undoubtedly PAW Patrol, having made its UK debut on Nick Jr in November 2013. PAW Patrol is produced by Spin Master’s Entertainment group and continues to be Nick Jr’s number one preschool series. “Kids love bringing the fun and adventures to life which has seen commercial success for our toys and our licensee partnerships,” says Anna. Anna describes PAW Patrol as an “evergreen global property” so why has this property secured break through where so many other brands struggle? “Strong storytelling is at the core of every episode we produce,” she says. “Kids take to heart the stories they see and they learn from them, so we want to make sure what they see is both entertaining and positive. PAW Patrol appeals universally as these pups are all about collaboration, doing what’s right and celebrating everyone’s individuality. The close working relationship with Nickelodeon is continuing with Rusty Rivets which has got off to a strong start on air. “We have a great relationship with the Nickelodeon team; they have been fantastic partners to us,” she reveals. 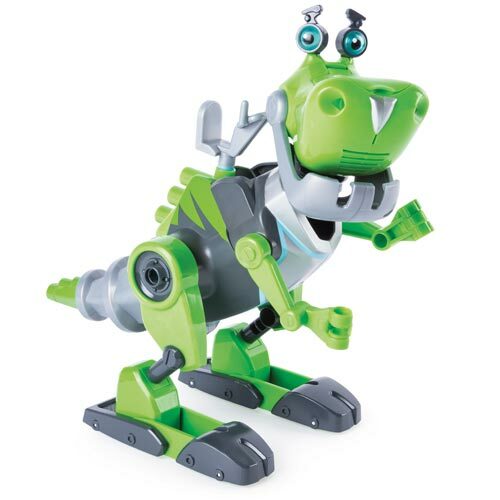 The plan is for Spin Master to launch its toy range in spring 2018. But it’s not just TV shows that have formed the backbone of Spin Master’s licensing plans. Since the global launch of Hatchimals in October 2016, Anna reports that the response has been “phenomenal” and already Hatchimals is the fastest growing property which isn’t supported by TV, digital or film content across the G11 countries (UK, France, Germany, Italy, Spain, Belgium, Russia, US, Canada, Mexico, Australia) according to NPD (YTD May 2017). “Hatchimals is a global success and we continue to surprise and delight with new launches including a licensing programme that will be rolling out over the next 12-18 months,” Anna promises. In May, kids were introduced to the world of CollEGGtibles – Hatchimals that hide inside small, speckled eggs and they need a child’s touch to hatch. “With over 70 Hatchimals CollEGGtibles and the world of Hatchtopia to explore, these elements provide the depth a brand needs to build a licensing programme,” she adds. Penguin was one of the first licensees to come on board for Hatchimals with a mix of fiction, activity books and a collector’s guide – in fact in summer 2016, even before the toy had launched. Earlier this year Spin Master appointed CPLG to manage the licensing programme across the EMEA region. CPLG will be focused on expanding the brand into new product categories including apparel, home, stationery, food and health and beauty. As well as toy growth and licensing, animation for Hatchimals is firmly on the cards. “In today’s environment one of the best ways of connecting with children is via the digital space. 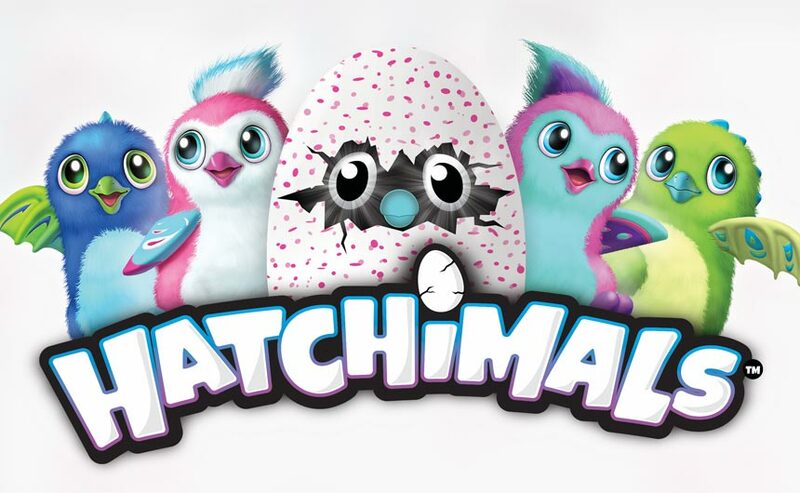 The first series of Hatchimals webisodes will be launching this autumn, bringing the Hatchimals to life and open up their world of Hatchtopia,” Anna reveals. 2017 looks like it will be an incredible year for Spin Master. “This year we would love to see Hatchimals well on its way to being a top property for girls aged 4-9, the market ready for Rusty Rivets in 2018 and rounding off with another successful year for PAW Patrol,” says Anna. “Partnering with other IP owners is very important to us – not just in master toy but also in other categories such as games and puzzles, activities, as well as outdoor and water toys,” says Anna. A notable example is its partnership with DreamWorks (now Universal) on How to Train Your Dragon where the company has been working together very successfully for almost eight years. “The TV series continues to perform very well on CBBC and with a third movie scheduled in 2019, the brand is one of those franchises that can be a true evergreen,” she adds.